Monarch Air Group provides private air charter in Inglewood, CA. Our clients benefit from top-notch service, unrelenting dedication to safety, wide selection of aircraft, and years of experience in chartering private jets. To obtain a free quote, please use our online quoting tool provided below, or call toll free 1-877-281-3051. Monarch Air Group provides private jet charter flights in and out of Inglewood, California, USA. With a population of about 109,673 people, Inglewood is a city in southwestern California, southwest of downtown Los Angeles. The most notable points of interest in Inglewood include Hollywood Park Casino Inglewood, Memorial Obelisk Monument, The Forum, Hollywood Park, Donatoni Winery, and some others. 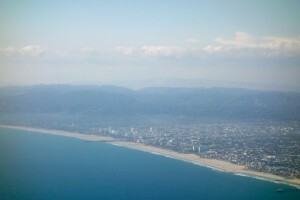 The nearest airports are Los Angeles International Airport (LAX / KLAX), which is located 4 miles from the city center, Long Beach Airport (LGB / KLGB), which is situated 21 miles from Inglewood, Bob Hope Airport (BUR / KBUR), which is situated 27 miles from Inglewood, and John Wayne Airport (SNA / KSNA), which is situated 41 miles from Inglewood. 1. Best Western Plus Suites Hotel, 5005 West Century Boulevard, Inglewood. 2. Best Western Airpark Hotel, 640 West Manchester Boulevard, Inglewood. 3. Holiday Inn Express, 11436 Hawthorne Boulevard, Hawthorne. 4. Travelodge Hotel atX Airport, 5547 W Century Blvd, Los Angeles. 5. Best Western Plus Suites Hotel, 5005 West Century Boulevard, Inglewood. 6. Holiday Inn Express Hotel Los Angeles, 8620 Airport Boulevard, Los Angeles. 7. Best Western Airpark Hotel, 640 West Manchester Boulevard, Inglewood. 8. Super 8 Los Angeles/Lax Airport, 9250 Airport Blvd, Los Angeles. 9. Extended Stay Hotels, 6531 South Sepulveda Boulevard, Los Angeles. 10. Travelodge Hotel atX Airport, 5547 W Century Blvd, Los Angeles.